For travelers booking from the United States, both the U.S. and British Virgin Islands are popular choices for private yacht charters. To the USVI, there are plenty of non-stop and connecting flights from the US mainland to St. Thomas and St. Croix. St. Thomas is the most visited port in the Caribbean and one of the most beautiful harbors in the world, with over 40 major beaches ringing its shores. A Nicholson Charters Virgin Islands yacht charter will give you access to plenty of fun beachside activities such as snorkeling, scuba and paddle boarding. 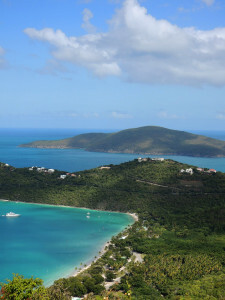 The US Virgin Islands is ideal for those seeking perfect blend of activity and leisure. It’s a great choice for families (needing a getaway that will keep the kids active) and for couples (seeking secluded spots to enjoy some romance). Each year Nicholson Charters attends industry events in the Caribbean to interview crews in person and inspect yacts ranging from 50 to 200 feet in length. 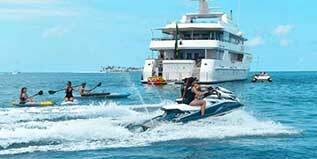 Our motor yachts are powerful, fast and extremely luxurious. 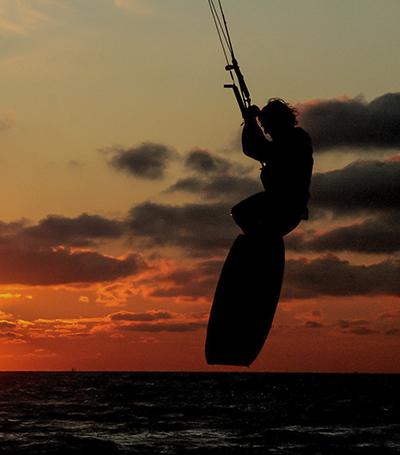 Our sailing yachts offer a less controlled but more thrilling experience. Catamarans are best for large groups or families with kids – they boast massive cabins that work like a floating 5-star experience. Yachts can be booked by the week or by the day. For best results, tell us with as much detail as possible your vision for the ideal luxury yacht vacation in the U.S. Virgin Islands. 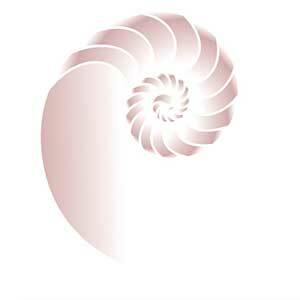 After processing your information, we will propose three or four yachts and crew variations for you to choose from. Whether looking for hedonistic relaxation, a taste of the exotic Caribbean or stunning sea adventures, the the U.S. Virgin Islands are a popular choice for a private yacht charters. While these islands belong within the United States territories, the predominant culture there is West Indian. This ethnic flavor is present everywhere from the music that plays from open doorways to the enticing aromas of the local cuisine. Golf fans are never at a loss for things to do on St. Croix, with three golf courses available throughout the island. These courses include a 9-hole option for a leisurely morning strolling through beachside greenery, or two full-sized courses for those seeking a more intense world-class game. Nicholson Charters gets you access to these fabulous amenities in the U.S. Virgin Island area by providing you with a luxurious yacht charter to arrive at your chosen destination. If you are looking for more in the way of stunning beaches, St. Thomas is an excellent choice for a stop over on your yacht charter vacation. 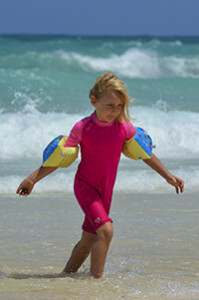 Over 40 major beaches ring its shores, with perpetual sunlight helping you work on your holiday tan. Enjoy the local scenery of pristine blue water and exotic greenery. Your Virgin Islands yacht charter gives you access to plenty of fun beachside activities as well, from snorkeling or scuba to paddle boarding. It is the perfect blend of activity and leisure, good for both families needing a getaway that will keep the kids active and for couples who want to find a secluded spot to enjoy some romance. There is no need for any boating experience when chartering a luxury motor yacht. Our experienced, professional, and friendly crew will take care of everything for you. With their local knowledge, you can make the most of activities and shore excursions aboard Virgin Island charters. 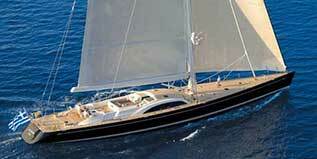 We have a great selection of excellent sailing yachts available for charter worldwide. 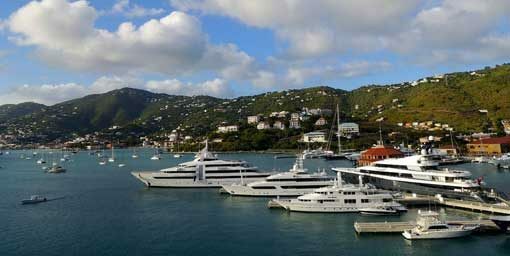 Book a St Thomas yacht charter with family and friends or a corporate group. 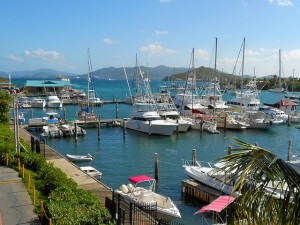 Sailing the US Virgin Islands is more immersive with yachts available for charter in various ports around the world. With Virgin Island charters to St Thomas aboard sailing catamarans, you and your family can enjoy exciting sailing adventures aboard a spacious boat. There’s enough interior and exterior space for everyone to move around and lounge about. Book our USVI yacht charters today. 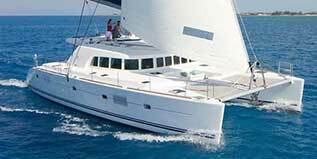 Our power catamarans for USVI charters can accommodate you and your family, corporate events, and big gatherings. With a professional and friendly crew of a St Thomas yacht charter behind the wheel, you can sail the Virgin Islands to the fullest, at your leisure, and without the worries. Nature lovers can enjoy a day full of activity by sailing to St. John, where the local beaches fall under the protection of the National Park Service. Many people enjoy the eco-tours, taking the opportunity their Virgin Island yacht charter provides to take an adventure on a guided kayak tour or to hike through the Virgin Islands National Park. Glide over the lovely reefs on display through the clear, sparkling water, or enjoy a trek through the Reef Bay Trail. A more tucked-away and secluded area of the U.S. Virgin Islands is Water Island. Just over 490 acres large, it joined the United States in 1996 and is occupied by fewer than 200 people. This hidden gem provides a few leisurely activities. You can take advantage of the less crowded beaches and enjoy soaking up the sun, the anchorages are very good. Plenty of hiking is available, and there are also historical sites where military fortifications used to stand. The local culture is very friendly, with community movie nights taking place on the beach. For the more active and ambitious, try a bike tour or just enjoy the sights from your yacht charter and breathe in the healthy sea air. Let the fun begin as you take your first step. Use this form to create a outline vision of your ultimate yacht charter in the U.S. Virgin Islands. Immerse in the vibrant local traditions on display along the streets of St. Thomas. 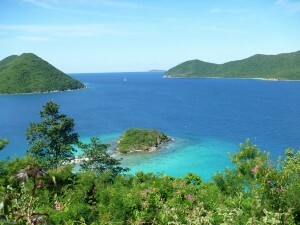 Then board your yacht and lose yourself exploring untouched nature on St. John. Finally consider sailing over to St. Croix to enjoy some of the Caribbean’s most beautiful beaches. Whatever you have planned, allow us to make your idea a reality. 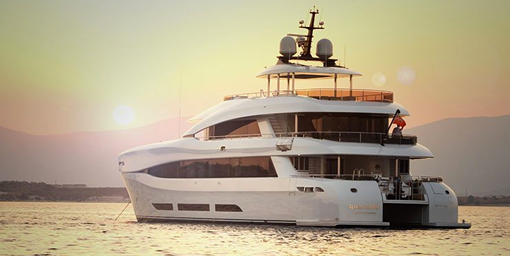 Fill in the form and a Nicholson Charters agent will get in touch with a proposal for the ultimate luxury yacht vacation that will blow your mind. Do you have special preferences? List them here. 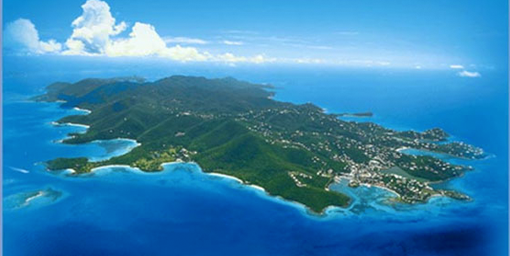 For the ultimate Virgin Island charter, include both the USVI and BVI in your cruising plans.